Bethesda recently revealed, via updated beta notes, that it’s upcoming game Fallout: 76 won’t be released on Steam. Both the game itself and the PC beta will only be available via the company’s own launcher on Bethesda.net. While it’d be surprising to see a game from any popular series jump from Valve’s ship, it’s a particularly big deal for Bethesda given the number of incredibly popular games from the developer that have been on Steam — Fallout 3, Fallout 4, Skyrim… jumping jiminies, Skyrim. 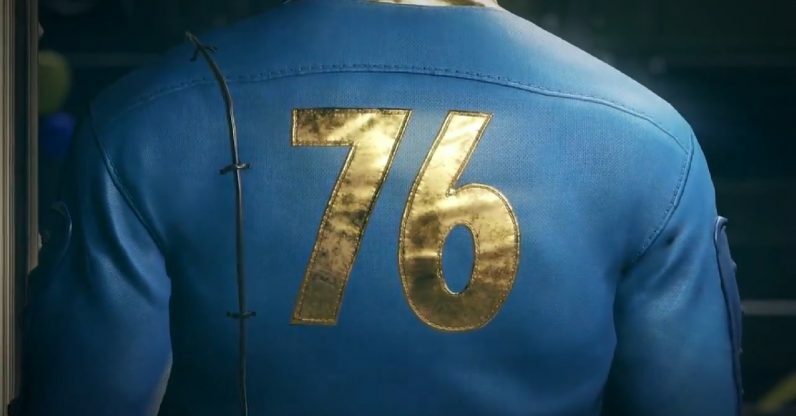 Fallout: 76 would effectively be the first major game from the company not to debut on Valve’s platform. You know which game is also super popular and not available on Steam? I’ll give you a hint: About half the world plays it and you can also floss in it to your heart’s content. I’m not saying Fortnite is responsible for Bethesda taking the leap away from Steam — Bethesda is far too entrenched in the industry to take its cues from Epic. But I do think Fortnite provides a good case study for anyone considering making the leap away from Valve’s platform — it shows you don’t have to be distributed via the most ubiquitous channels in order to own the world. Also, the root cause of the breakup between both of the companies might be the same: Money. Epic Games CEO Tim Sweeney has been blunt in his opinion that Valve’s 30 percent cut of revenue is too high. He had similar harsh words about Google Play’s identical cut when it was revealed the Android release would not be coming to the Play Store. 30 percent of revenue? For Day One releases, pre-orders, and Week One sales, that’s tanking a massive hit. And it was a justifiable loss, given that the company was trading it for visibility and ease of use for gamers. And you might say “Bethesda is a big company, so it can afford to take the loss.” That may be true, but my point is the likes of Fortnite are proving they might not have to anymore. Six or seven years ago, this would have seemed like an almost unthinkable move, but Bethesda now has multiple other examples of major publishers pulling their “escape Valve.” EA created Origin in 2011 and have steadfastly stuck by it ever since. Bungie and Activision also made the break from Steam with Destiny 2, repeating the action with Call of Duty: Black Ops 4. Microsoft has stopped offering some of its major games, such as Gears of War 4, on Steam in favor of offering it on the Windows storefront. And there’s always one built-in parachute: If at first you go it alone, release it on Steam later. Bethesda did this twice with Fallout Shelter and Quake Champions, releasing both first on their own launcher, then later to Steam. As publishers perfect their own launch platforms, it’s likely they’ll debut their titles there first instead of Steam. With so many successful games to use as examples, it’s becoming harder to justify releasing on Steam first.